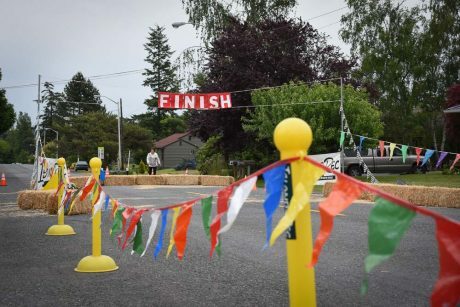 Island Rec announces winners of the first Hill of Thrills Soap Box Derby. Twenty participants ranged in age from 6 through adult. It was hard to say which age group had more fun. The Cutthroat Pirates were there in force not only racing their own brand of racing rigs but were very helpful in putting on the event.